Tell Local History News about your upcoming Archives Month event! Let us know the date and time, place, details of what will happen at your event, and if available, any associated website addresses. Help the Minnesota State Archives celebrate Archives Month by entering their Facebook photo caption contest, running now through October 20, 2014. Write your caption in the comment section of the photo on Facebook. Winners will receive free passes to any of the Minnesota Historical Society's 26 sites across the state, along with lots of other cool stuff. Not feeling creative? Don't worry! You can still enter to win one of two prize packs just by 'liking' the contest! In honor of Minnesota Archives Month we present to you John Decker who is a 2014 recipient of an Award of Merit from the AASLH Leadership in History Awards for his years of exceptional service and dedication to the Stearns History Museum. John Decker has been the lead archivist at the Stearns History Museum for the past 37 years. Forty-one mid-size ($10,001 - $50,000) and large ($50,001 and up) grants were awarded to organizations in 23 counties throughout Minnesota, for a total of $3.57 million. Mid-size and large grants are awarded once each fiscal year. View a complete list of award winners. Applications must be submitted via the grants portal by midnight on the deadline date. Contact the Grants Office, 651-259-3467, with questions. Project restored a life-size oil painting of Lyman P. White, the “Father of Brainerd.” The approximately 5 ft by 3 ft portrait (over 6 ft by 4 ft with frame) was painted in 1886 and was given to the City of Brainerd after White's death in 1902. It was on display in the Brainerd City Hall for some years, but disappeared and reappeared over time. In 2009, Mr. White’s portrait was discovered, this time in the attic of the Crow Wing County Historical Society, but separated from its frame and in very poor condition. The project had the portrait professionally restored on contract with a professional conservator. 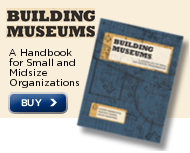 What is the Fair Market Value of a Museum Job? Idaho State Historical Society, Boise ID, seeks Archivist Technician. Deadline October 5, 2014. National Guard Bureau, Arlington VA, seeks Curator (Field Programs). Deadline: October 15, 2014. The Henry Ford, Dearborn MI, seeks applicants for the position of Object Conservator. Deadline: October 17, 2014. Park City Museum, Park City UT, seeks Research Coordinator. Position open until filled. Los Angeles County Museum of Art, Los Angeles CA, seeks Head of Collection Information and Digital Assets. Orange County, Board of County Commissioners, Orlando FL, seeks Manager for their Regional History Center. Theatre Coup d’Etat presents Strindberg's "Miss Julie" staged in the historic Turnblad Mansion Ballroom at the American Swedish Institute, Minneapolis MN. Originally banned in multiple countries, Swedish playwright August Strindberg’s classic "Miss Julie" is an examination of power in all its various manifestations. Production run October 1-26, 2014. For show tickets or Prix Fixe Packages call 612-871-4907. Glensheen, Duluth MN, hosts Susan Leaf, a historian from the Twin Cities, who will come to Glensheen to speak about the renowned history of the Minneapolis Handicraft Guild. Thursday October 2, 2014, 7 p.m. Free to the public. Minnesota Landmark Center, St. Paul MN, and Lakeshore Players Theatre present Espionage, Disloyalty, Socialism: The Trial of Rose Pastor Stokes. Performed by noted Twin Cities judges and lawyers, the trial drama recreates our nation at war and the social upheaval brought about by wartime activities and the rise of communism. October 2-4, 2014, 7 p.m. Seating is limited. To RSVP call 651-292-3063. Great River Road Visitor and Learning Center, Prescott WI, invites you to join them for “Philander Prescott: Frontiersman of the Old Northwest” program with living historian Spencer Johnson, Saturday October 4, 2014, 10 to 11:30 a.m. Free to the public. For more information call 715-262-0104. Washington County Historical Society, Stillwater MN, will screen “The Unearthing,” a film showcasing Stillwater’s rich history that contains a healthy dose of mystery and intrigue. Jensen, a local Stillwater Area High School student filmmaker filmed the entire 60-minute feature at local haunts around town–including the Warden’s House Museum; Sunday October 5, 2014, 2 p.m. For more information call 651-439-5956. Tretter Collection at the U of M's Andersen Library invites you to join them to hear this month's Telling Queer History speaker Beth Zemsky and for tours of the Tretter Collection, Sunday October 5, 2014, 2 p.m. Tours will start at 1:15 p.m. and 4:30 p.m. Please e-mail RSVP for tours. Ramsey County Library in Roseville invites the public to join them for the second discussion in the Library’s new series on the Constitution. This week they will discuss the Fourteenth Amendment, the one that calls for “equal protection of the laws.” Retired Minnesota Supreme Court Justice Paul Anderson will be there to answer legal questions, and a trained facilitator will help guide the discussions; Thursday October 9, 2014, 7 p.m.
Stearns History Museum, St. Cloud MN, is partnering with the St. Cloud Sons of Norway, Trollheim Lodge, to host a history exhibit entitled “New Land, New Life: Norwegian Immigration in Minnesota, 1825-1925,” Saturday October 11, 2014, 10 a.m. to 2 p.m.
Ramsey County Library in Roseville and Roseville Historical Society invite you to join them at the Roseville Library to hear what was it like to grow up in "Rose" village in the Fifties, Sixties and before; Sunday October 12, 2014, 2 p.m. For more information call 651-724-6022. LeDuc Historic Estate hosts its first ever scotch tasting on Friday October 17, 2014, 7 p.m. RSVPs required. For more information and to make reservations call 651-437-7055. LeDuc Historic Estate, Hastings MN, announces that their featured author is essayist and poet James Silas Rogers. A brief 'tea and cookie' intermission will be followed by the band "Mischief," Sunday October 19, 2014, 5 p.m. RSVPs requested. For more information and to make reservations call 651-437-7055. Ramsey County Library in White Bear Lake invites you to learn the basics of digital image manipulations with certified genealogist Tom Rice: how to acquire, enhance, repair, store, organize and share your genealogical images. Learn about resolution, file types, lossless and lossy compression, image enhancement, image restoration and organizing of your images. Monday October 20, 2014, 6 p.m. For more information call 651-724-6022. Ernest Oberholtzer Foundation invites you to join those who love Mallard Island in a celebration of the flood restoration work accomplished in August and September. Please come to this event to applaud those efforts and to raise funds for the extra costs this year. Your support will help offset a shortfall of about $6000 in direct flood-related expenses. The event features readings by Gwen Westerman, Denise Lajimodiere, Thomas R. Smith, Sarah Stonich, and Oberholtzer’s biographer Joe Paddock. You’ll also enjoy Glen Helgeson, Lynn Cox and Beth Ray, and the music of Prudence Johnson. Saturday October 25, 2014, 4 p.m. at Judson Church, Minneapolis MN. Registration is open for the 2014 Oral History Association Annual Meeting in Madison WI, October 8-12, 2014. This year's theme is Oral History in Motion: Movements, Transformations, and the Power of Story. View Program Highlights. Northern Bedrock Historic Preservation Corps presents a Cemetery Preservation Workshop in Duluth, Monday October 8, 2014 9 a.m. to 3 p.m.
Minnesota Council of Nonprofits is offering a Fundamentals of Budgeting workshop which is designed to build your confidence in working with budgets. At this workshop, you will learn about the relationships between budgeting, planning, and financial management, Tuesday October 21, 2014, 9 a.m. to noon, Wilder Center, St. Paul MN. Minnesota Digital Library needs your Minnesota Reflections stories! Benefits of contribution, fabulous finds, how Reflections has made a difference to you. Your stories will help us renew our funding and continue the good work of the Minnesota Digital Library. Please send all stories soon to Outreach Coordinator Molly Huber. Scott County Historical Society, Shakopee MN, reserves its central hall gallery to showcase a local Scott County artist during the month of April. The Society is accepting applications by local artists for this April’s display. Interested artists may apply by submitting samples of their work and agreeing to deliver a workshop or two during the run of the display. Art should be of high-quality and does not need to have a history connection. Contact Executive Director Kathleen Klehr or call 952-445-0378. Explore Minnesota Grants are offered to Minnesota non-profit organizations formed for the primary purpose of tourism promotion and to scenic byway groups incorporated as non-profit organizations. Grants are to be used for marketing and promotional projects or to conduct research to help in this endeavor. The deadline for applications for the 2015 grant program is October 15, 2014. Garrison Keillor delivered the keynote address on Thursday, September 18, 2014, to the American Association for State and Local History conference. He dryly noted that he is now old enough to be of interest to historians. His address contrasted the lasting contributions of Wabasha and Frank B. Kellogg, for whom the cross streets of the hotel were named. Keillor's assessment was that Wabasha's lasting contributions to history shine brighter than Kellogg's. LHN regrets that while Minnesotans are above average and good looking, images from their cellphones are neither. Audio of Garrison Keillor giving the keynote address is now available at Minnesota Public Radio. Join Minnesota's Civil War Task Force on a trip to Tennessee to retrace the steps of several MN regiments and commemorate the 150th Anniversary of the Battles of Franklin & Nashville. Round-trip transportation, lodging, meals and guides all included in an affordable travel package. Full Itinerary. American Association for State and Local History will present its 2015 annual meeting in Louisville KY, September 16-20, 2015 and is seeking session proposals for the meeting. Proposals must be submitted online and are due November 17, 2014. Published by The History Press.